Hiring managers and executives responsible for talent acquisition use numerous methods to try and predict and evaluate a candidate’s capability to perform a job and assess whether they are a proper fit within the company/team culture. 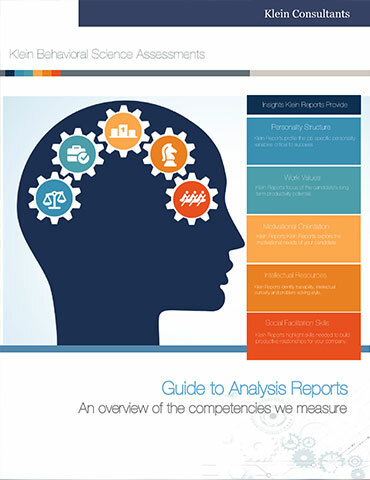 Talent assessments are tools that usually profile a person’s behavior, personality and capabilities. They help organizations make decisions about hiring, promoting and developing their talent, and encompass many pre-hire selection activities. 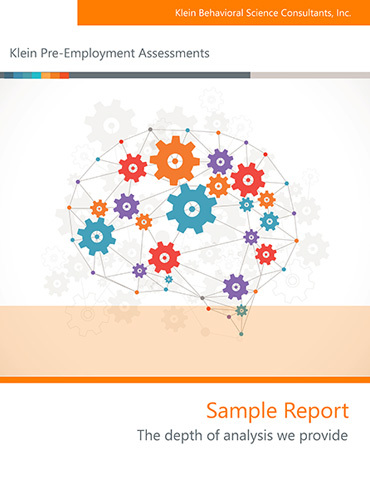 Exactly What Is A Pre-Employment Assessment? A pre-employment assessment is any tool or method used to evaluate job candidates with consistency. They range from hard skills tests (such as typing and math skills tests) to “softer” tests, like personality batteries. With the exception of the interview, most pre-employment tests take the form of a formal test with closed-ended questions. Assessment questions are designed to act as a proxy for certain aspects of a job. To illustrate, personality tests that assess extraversion often ask: “Agree or Disagree: I enjoy attending large social gatherings.” While the job may not require attending many cocktail parties, a certain degree of extraversion is useful for roles that frequently involve interpersonal communication. During assessment design, questions that elicit responses most predictive of job success are used to build the final test. A traditional pre-employment assessment needs at least 60 questions to establish a useful level of validity. Recent advances in artificial intelligence (AI) are opening up new avenues for pre-employment assessments. A traditional 60+ question assessment requires a substantial time commitment from the candidate: the longer the assessment, the less likely a candidate is to complete it. Artificial intelligence enables assessment creators to apply tried-and-true assessment science to more candidate-friendly delivery mediums, like games and video interviews. Building an assessment on a candidate-friendly medium addresses a classic problem with pre-employment tests: getting candidates to take them. Pre-employment assessments can be grouped into five categories, based on where they fall on the hard skills-soft skills spectrum. Hard skills tests are used to measure proficiency in specific skills like typing or math. They provide useful supplementary information to recruiters and hiring managers, particularly if the job frequently mandates the use of those skills. Hard skills tests only provide insight into the extreme end of the hard skills-soft skills spectrum. Work sample tests require candidates to mimic the activities they would be expected to perform on the job. These range from technical coding tests, to “case-study” style presentations, to situational judgment tests. Since work sample tests are designed to mirror actual job duties, they are very predictive of on-the-job success. If executed correctly, the interview can evenly evaluate both hard and soft skills. The interview’s flexibility makes it the perfect complement to other assessments. There are three main types of interview: structured, unstructured, and behavioral. A structured interview consists of a set of questions determined in advance and ensures that each candidate is presented with exactly the same questions in the same order. A structured interview can be conducted can be done via paper or web where the candidate fills in responses, or live with a trained interviewer that fills in candidate responses, or with video interviewing. Structured interviews produce consistent data that can be used to evaluate candidates against the same criteria and can reduce bias and uncover the best fit candidates. An unstructured interview or non-directive interview is considered to be the opposite of a structured interview because the questions are not prearranged. These rely on rapport and relationship building between the interviewer and candidate. They can be useful to explore emerging areas of understanding. It is often suggested that these types of interviews are recorded so that the answers can be analyzed later and the interviewer can focus on the interaction. It is important to point out that an unstructured interview is not the same as an unorganized or disorganized interview. 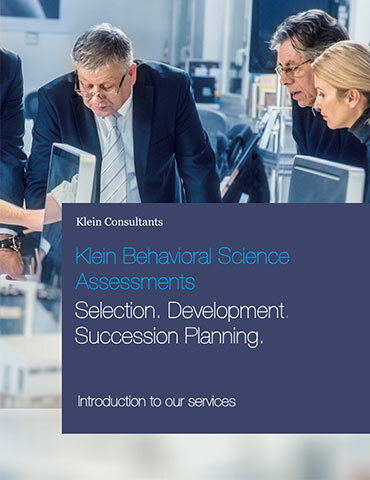 Behavioral interviewing is an approach that looks at past behavior as the best predictor of future performance. Past behavior in past situations will more accurately indicate a candidate’s attitudes and behaviors. This approach is useful because it goes beyond whether the candidate can do the job, but helps determine if the candidates will do a good job. A person may have the knowledge to do the job, but not the inclination or desire to do it to the standard necessary in a particular organization or team. In order to get the most predictive data out of an interview, determining the right format, questions and answers, will result in the best hiring decisions, rather than relying on gut instinct and limited ability to compare candidates. All of these interview types have benefits when deployed correctly. Cognitive ability tests assess candidates’ verbal and numerical reasoning skills, and their aptitude for thinking abstractly. Think of them as the flip-side of work-sample tests. While work sample tests measure how candidates would perform in expected situations, cognitive ability tests evaluate how they might perform in unexpected situations. Personality tests are designed to measure specific aspects of personality, like openness to experience, tenacity, extraversion, and tolerance. One of the most famous personality tests is the Myers-Briggs Type Indicator. Measuring certain personality traits is useful when trying to identify the candidates most likely to turnover, and when matching those traits to specific job duties (for example, high extraversion may be beneficial for a customer-facing role). Using a combination of assessment tests is almost always more predictive than a single test by itself. Companies that choose to use a combination approach should always prioritize the candidate’s time, since the approach loses its value if most candidates opt out.